Esprit D'Amour has passed the performance test in Adelheidsdorf, Germany and is approved for breeding with the Canadian Sport Horse Association. In the performance test, Esprit received scores of "8" for his character, his disposition, his ability to work, willingness to work and for his jumping ability. 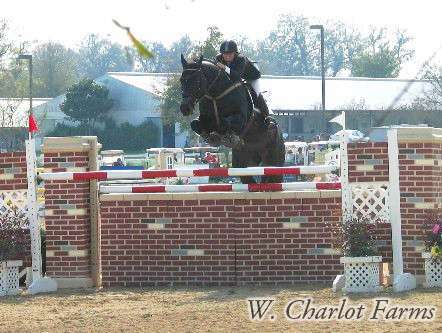 Esprit D'Amour is a "powerhouse" with incredible jump and three good gaits. Esprit has been brought along carefully in the jumper development series. 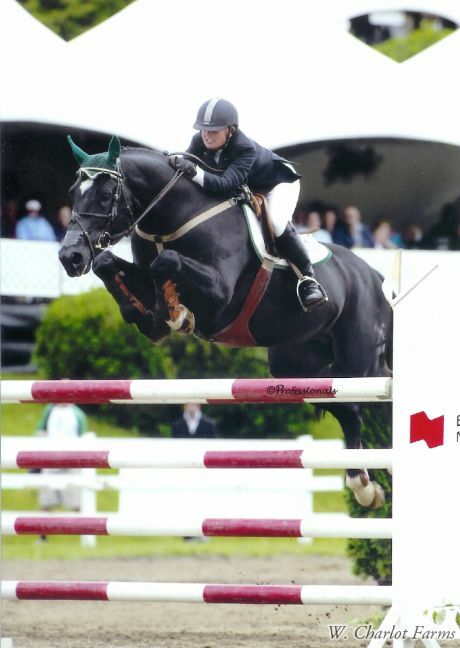 From 2003 to 2006, Esprit was shown with great success by Erynn Ballard. Although not the fastest horse, Esprit has won Open Jumper classes and he placed in several Grand Prix competitions. In 2005, Esprit D'Amour came sixth, with one time fault and no jumping fault, in the World Cup Qualifier in Bromont, Quebec. 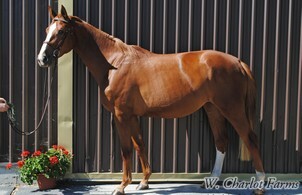 From 2006 to 2007, Esprit was shown successfully in the Open division in the Untied States. Esprit has now been retired to stud. 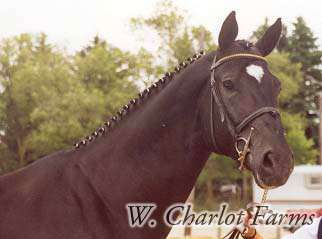 Esprit D' Amour is by the Hanoverian stallion "Espri" who was Hanoverian stallion of the year in 1995. 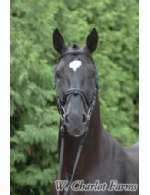 Espri has produced many well-known international show jumpers and dressage horses. His most famous show jumping son is "E.T. ", who won the Show Jumping World Cup Finale in both 1995 and 1006. 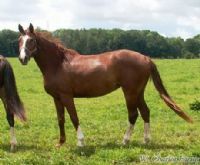 Espri is the sire of Celle's state stallions Escudo I and Escudo II. 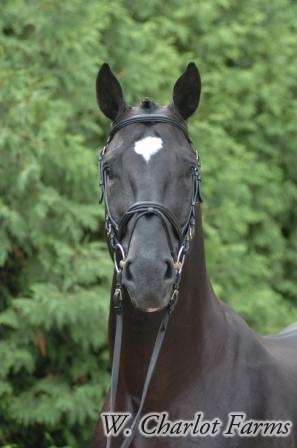 Espri's son "Elvis" was part of the German team that won the Dressage gold medal at the 2008 Hong Kong Olympics. Don Carlos, Sender and Furioso II round out Esprit's performance driven pedigree. 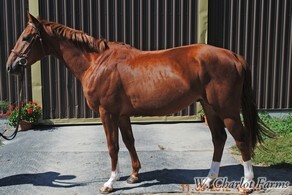 Esprit D'Amour has only been used sparely during the past few years as he was competing and away from the farm most of the time. 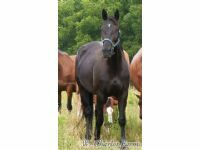 He produces mostly black foals with excellent movement, lots of jump and he passes on his easy going attitude. Two of our Esprit daughters were inspected for breeding in 2003 and received first premium status with scores of 7.66 and 7.8 respectively.